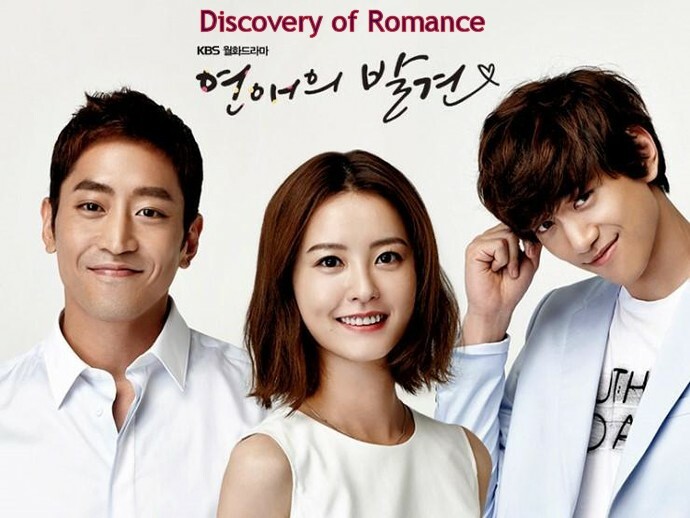 Discovery Of Romance aka Discovery Of Love (2014) was an interesting, intelligent romance that I really enjoyed. Even though the love triangle plot (that only partly wanted to be a love quartet plot) was complex and a bit frustrating at times (many people felt agitated by the female lead's character, who was very indecisive toward her men, even though personally I really enjoyed her), the show was very popular and stayed high in the ratings. I was thoroughly hooked on this drama from the first episode until the very last episode. I originally checked it out for actor Joon Sung, a favorite of mine from shows like I Need Romance 3 and Hyde Jekyll and I and Gu Family Book, but then, to be honest, I fell head over heels with actor Eric Mun who played the lead male part. He was so earthy and passionate and began to eclipse Joon Sung for me early on in the show; I loved his character and am now a devoted new fan. I'd watch him in anything! (He had a kind of Brando magnetism you don't see too often in K-dramas, maybe because he spent some formative years in America). While watching this one I read he had been in an older drama called Que Sera, Sera from 2007, and with the same lead actress, elfin Yumi Jung, so while I waited for Discovery to finish up I watched their older drama together and THAT one was great too, and so addictive that I watched it over one day and one night without stopping. This pair have very dynamic chemistry together, you could see it in every scene they were in together, in BOTH dramas! No wonder why drama producers wanted to team them up again. Apparently the same writer who wrote I Need Romance 3 wrote Discovery of Romance, and so Joon Sung really wanted to be in this show, since the writer had made him so popular with his earlier 2014 romantic comedy. It didn't seem to matter to him that he would play the second male lead here after playing a lead male role in the prior drama: it was the excellent writing that really counted with him. I admire that about him. He's very professional, not to mention he's a cutie-pie from the top of his curly haired head to his toes! Look at that grin, folks. It's irresistible. I'd watch him in anything, too! The outward premise of the show was an author interviewing two couples about their on again, off again romantic relationships (though the interview scenes became far less frequent as the show progressed). 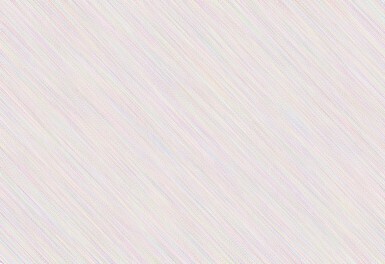 The main emphasis was on secretive, deep emotional attachments between the characters that were repeatedly hidden, and then slowly tested and challenged; the lead female character was simply not honest with herself about how she really felt about both lead male characters, and that led to a lot of yo-yo bouncing in their relationships, and a lot of mistrust and misunderstandings. There was a lot of humor in the beginning, although the show became more serious as the plot developed. Also, all the secondary characters were almost as much fun as the primary characters. The whole ensemble was a winning team. I also enjoyed the production values and music score. This was a sophisticated show, and really not for the kiddies. I'd watch it again in a heartbeat! The Story: Girlish, prim, and outwardly secure Han Yeo Reum (Yumi Jung from Que Sera, Sera) seems to have the perfect life. She is a furniture designer who owns her own increasingly successful workshop, and she lives happily with her two best childhood friends, a young lady named Sol Han (perky Seul Gi Kim) who works with her in the business, and a young man named Joon Ho Do (funny and attractive Hyun Min Joon), who is a plastic surgeon, who in turn works along side Han Yeo Reum's current boyfriend of three years, Ha Jin Nam (Joon Sung), also a plastic surgeon. Han Yeo Reum expects a marriage proposal from Ha Jin, and soon enough gets one. However, he seems rather obsessively infatuated with her, but also always seems to feel a bit insecure in his relationship with her. Soon we are to find out why. Suddenly Han Yeo Reum comes face to face with her domineering but somehow charming, architectural designer ex-boyfriend whom she had had an intimate relationship with for 5 years, named Kang Tae Ha (Eric Mun), who has seriously never stopped loving her, even though she had broken their long term relationship off over a misunderstanding over her father's death (a suicide). As Han Yeo Reum begins working closely with Kang Tae Ha on a design project, old feelings begin to re-emerge between them, and eventually the situation becomes explosive and obvious to everyone around them. Meanwhile, it seems that Nam Ha Jin is facing his own emotional crisis when his childhood friend, Ahn Ah Rim (actress Yoon Jin Yi from A Gentleman's Dignity), whom he had loved and protected when they were both in an orphanage together as children, suddenly re-appears in his life. He quickly discovers who she is by recognizing an old scar on her arm (which he later is able to remove through surgery), however she doesn't figure out that he is her long lost childhood sweetheart until much later in the story; she only knows that she is attracted to him, and feeling guilty because he is already pledged to another woman, Han Yeo Reum. Ah Rim is a quiet and reserved young lady, and doesn't actively encourage Nam Ha Jin, but her growing feelings of love become more obvious as time goes by. It doesn't help matters when Han Yeo Reum finds out about Ah Rim and becomes jealous of her -- even though she herself is fighting her own feelings for another man who is not her fiance! Will Nam Ha Jin ever face his suppressed feelings of guilt and old, lingering emotional attachments to his childhood friend, whom he had wounded in the past, and continues to wound in the present? To add even more suspense, their friends / co-workers Sol Han and Joon Ho Do know what is going on underneath the surface of everyone's rather transparent platitudes and niceties, and begin to worry for everyone involved. Sol Han and Joon Ho Do are also fighting their own increasing romantic feelings for one another. So to sum up, everyone in this drama seems to live happy and peaceful and successful lives -- on the surface, but it's all a lie: a cauldron is brewing between all the principals, and how will it ever end with a happy conclusion for all these mixed-up, passionate people? Will the members of this love semi-quartet be able to sort through their complicated, tangled feelings, to admit failings, and to find true love? The journey to discovery is an entirely gripping one, and I loved every minute of this show. These actors are just terrific! I actually felt a bit grieved when this show was over. It could easily have gone to 20 episodes and I would have been even happier. Enjoy! And don't forget to watch Que Sera, Sera too, with the same lead couple. That was a great show, too! If they re-team a third time I will be in Seventh Heaven! :) K-Drama Gods, please make it happen before I travel to the Great Beyond!